A healthy system is a beauty to behold. 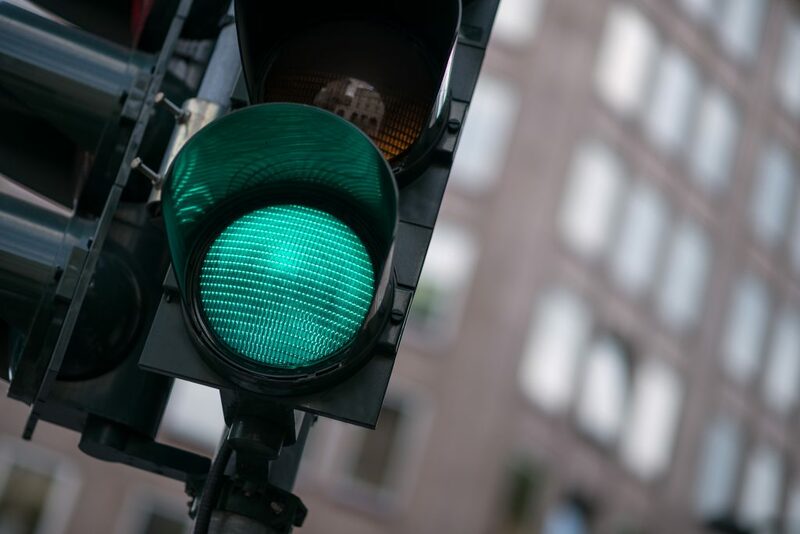 Whether it’s traffic lights perfectly timed greeting you with green after green en route to work or a gorgeously executed family dinner that arrives hot to the table with all members ready to eat – systems that work can make life easier, more efficient, and even more enjoyable! My suggestion to you today is to apply this precision to your follow-up protocol. I want to explain and illustrate simple systems for follow up and then provide you with a toolkit for easy application. It’s far more important to have a simple system that fits these traits than it is to have a complicated, expensive database. The information is useless if it’s not something that’s actually moving the relationship forward, growing someone in their vision for your ministry, equipping you or enabling you to actually take action on that and move forward. Names. First of all, your system has to have something you already have which is your names of people. It’s your list of names prioritized by momentum; green, orange and red. Green is high capacity and high likelihood of giving significantly when asked and presented an opportunity/plan. Orange is high or questionable capacity, but will require cultivation, multiple meetings, perhaps engagement, and a solid plan for impact. Red is clearly high capacity, but very far removed relationally, hard to reach, or even connect with through others. These people will likely take the most prayer, miracles, or help from others. Calendar. Your calendar needs to be really the cornerstone of your system for follow-up showing your dates blocked to meet with people, actual meetings you have scheduled, when meetings occur, who you met with, and then how the actual follow-up will look. Notes. You’ve got to have some way of capturing what was discussed in these face to face meetings. Work smarter not harder! Notate to remember what you learned about this person that you think is relevant in a real relationship. Information about family members, projects they’re working on, trips they’re planning to take, any advice they’ve offered you, etc. Trackable Action Item. The best time to plan your next step is the moments following your face to face encounter. Anything you’ve identified as information they might need, questions that they had that you want to give them information to provide the answers, or materials that they might have asked for. Know what this is. Know how you will track it. Accountability. When the action item goes on your calendar – it becomes real. Times aren’t mandatory, but a due date is a must. Technical Availability. You need to be able to access this information anywhere, anytime. iPhone or iPad, app or cloud – accessibility is key. I have some simple recommendations for follow up, but want to encourage you as always to personalize and tweak these suggestions to meet the mission of your ministry. Follow up is not a simple one size fits all. This is your toolkit, therefore it should reflect your personality. Your essence. Your je ne sais quoi. Handwritten notes. Though once an elegant, understated way to go the extra mile and stand out to potential donors, these have become more the norm than the exception. In today’s fast-paced world, notes no longer meet their intended purpose of impactful follow up. I suggest email as the most useful tool, but if notes fit your style by all means continue! Email of Understanding. Proof of active listening creates momentum with people! Look at your notes and report back: what did you hear, what did you understand, and what do you believe your follow up action(s) with them will be? Phone calls. In today’s tech-savvy world, phone calls have become antiquated. The novelty of taking the time and effort to connect with someone in a two-sided way has impact. For someone to hear your voice, your passion, your enthusiasm, and you following up to say, “Thank you for the meeting. I’m looking forward to our next time to talk. I’ll be getting you that information that we discussed. You’ve given me a lot to think and pray about. I’ll look forward to giving you an update.” There’s just no easier and more personal way to do that than them hearing your voice, even if left in a voicemail. Texting. Be careful with this one. Texting can help connect and be a wonderful follow up tool, but only in addition to your email of understanding. If you develop a relationship with someone and you notice texting is their preference, add it to your toolkit; it can be a powerful tool to keep the conversation going. Materials packet. Put materials in the follow-up step. In fact, I encourage people to not feel the need to take a brochure or a packet with them in an initial face to face meeting. Meet with them, let them know the material is coming, and then use that material as a follow-up step, and here’s why; once you give them that material, you are now staying in a follow-up mode. I think it’s helpful to get that follow-up experience started where you’re meeting, following up, sending them an email of understanding, checking in with a phone call, and giving them an update. Send them that materials packet, and send them a text to let them know you sent it. By doing so, you are the one taking the responsibility for how this relationship is progressing because you’re wanting to challenge them to have the impact that only they can have. It takes some extra time, but this is what will distinguish you from someone who is just talking and sharing vision to someone that is actually leading people together, and moving them forward to accomplish great things in your ministry or organization for the lives of people. I look forward to hearing how you put this information into practice! Before you can follow up with someone, you have to get a meeting with them right? If you could use some help in getting that first meeting, download our first meetings script here.